Most of your patients have probably heard about dental crowns, but they may not realize exactly why they’re beneficial or how they stay on. Dental Crowns walks patients through the process of placing a crown, and why they’d need one to start with. It’s important that your patients understand the many different reasons a crown is an appropriate option. As a conversation-starter and an educational resource, this video is perfect for those looking to provide patients with stunning visuals and a basic understanding of dental crowns. From restoring a treated tooth to making a cosmetic improvement, crowns are the versatile option that your patients should know about. Each Toothflix video you purchase is instantly accessible through your online ADA e-bookshelf. To learn more about the Toothflix video series, visit ADA.org/toothflix. 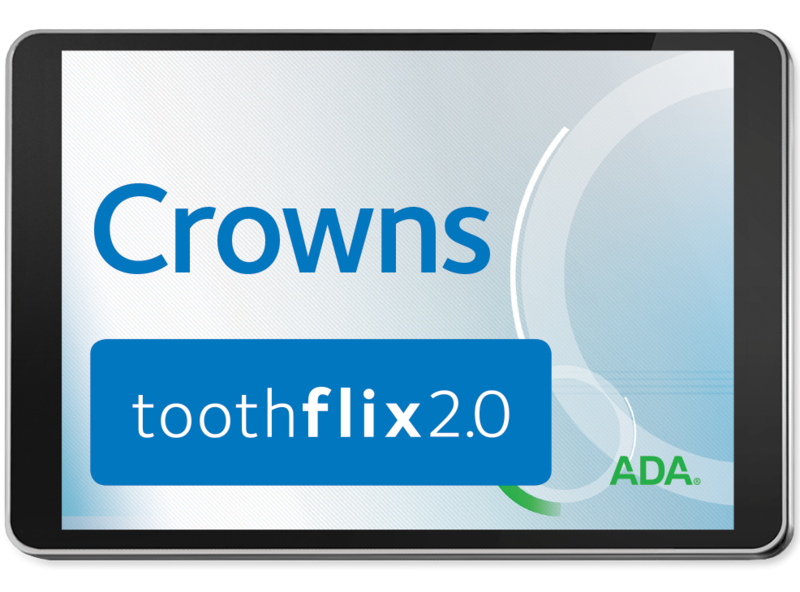 Purchase your Dental Crowns – Toothflix® 2.0 Streaming Video today!